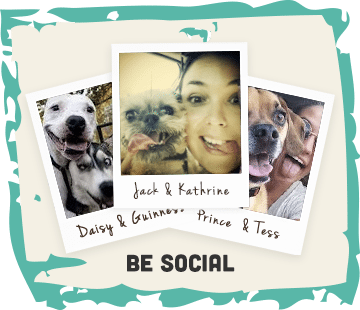 On Sunday Alfie and I headed up to Cheshire to be an official “Guru Geek” at DogFest. We were incredibly honoured to have the opportunity to blog for them at this years event. I’m sure you all aware of who and what Guru are about by now but if you not, I highly recommend checking out this post. 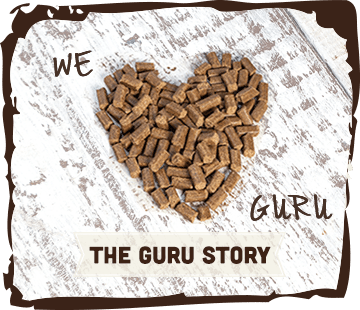 Alfie is a very proud Guru fed dog and, as an owner, I am over the moon that I have finally found a dog food that the diva will eat. We had the best day, I don’t quite know where to start! 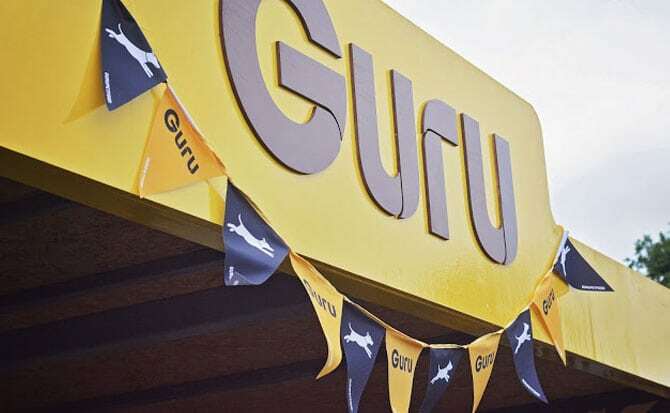 The stand definitely stood out from the crowd…In true Guru Style! It was an absolute pleasure to finally meet Lisa, Sam and the team! After constantly connecting over social media it was so good to put faces to the names, and for them to meet little Alf of course – they could hardly contain their excitement! It was incredible to be a part of it, to work with people who has so much passion for what they do! 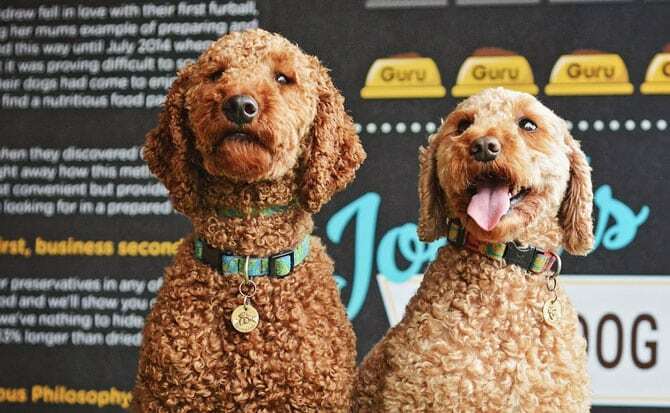 The Guru Geeks were on a serious mission to get their name out there and share with fellow dog lovers just how beneficial their food is. 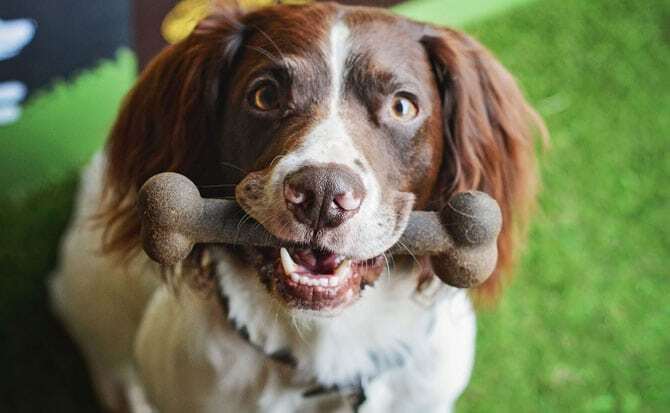 Alfie soon made himself at home, roaming around the stand freely with his Road Trip bone in his mouth – He was so proud of himself! If meeting the team wasn’t enough there was a number of Instagram dogs to meet. This was a definite highlight for me as it’s always nice to meet the humans behind the dogs. 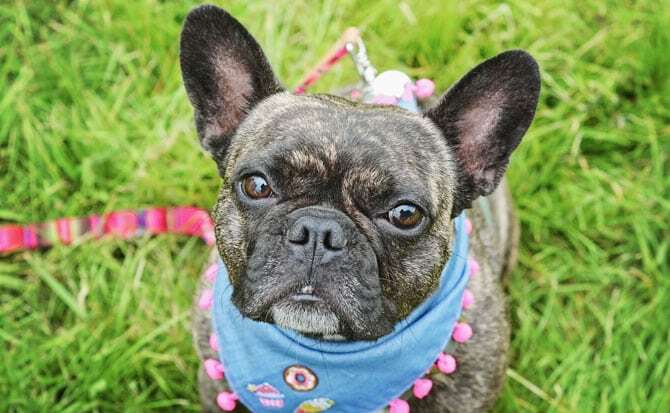 First up the very stylish Mabel from Barks & Bijoux. It really was love at first sight for little Alf as he followed her around like a love sick puppy. A slightly unrequited love though as Mabel had her eyes on the cheese! Mabel’s mum makes the most beautiful products for both hound and human, I highly recommend you take a look at their website. We also made a new friend, the Adorable Winston from @winstonwiggles.. He honestly has a grin that is to die for, the sweetest little character! He is a 3/4’s Pug and 1/4 Chihuahua.. A wonderful mix if you ask me, I could sit and snuggle him all day. 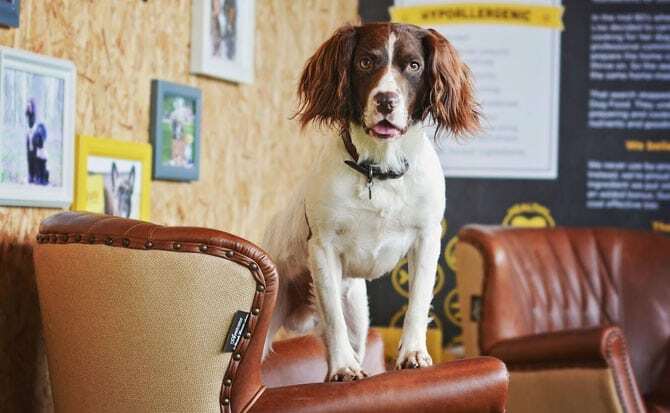 Alf made himself at home on those fabulous leather seats, patiently waiting for more of his friends to come and join us! Now, we both got a little starstruck meeting this little pugstar! 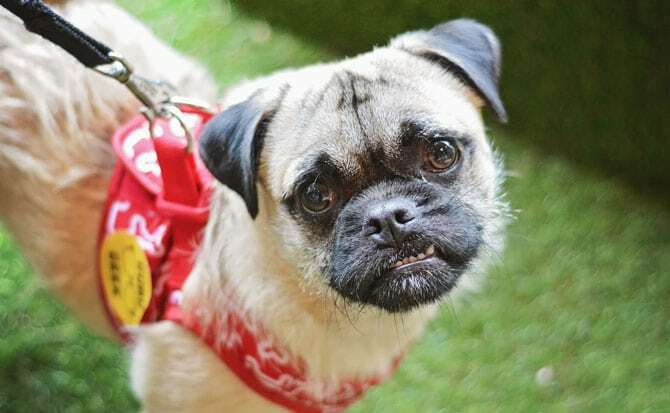 The adorable Darwin from @Cupcake_pug… With a whopping 148 thousand followers he really is a star! and boy did he know how to work the camera, he has posing mastered like a fine art. 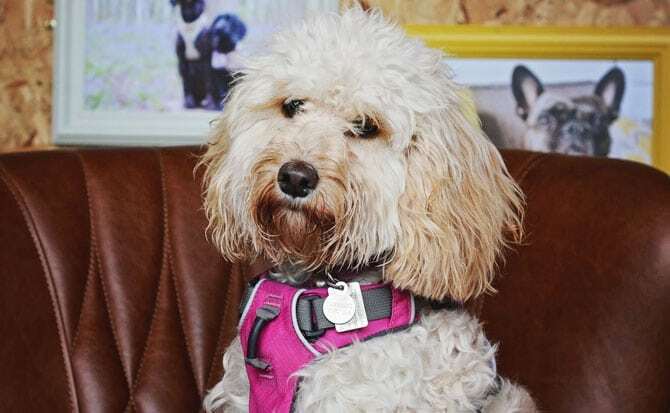 Meet the adorable Piper from @piperthecockapoo, the most beautiful girl! I must admit I was completely besotted with her! 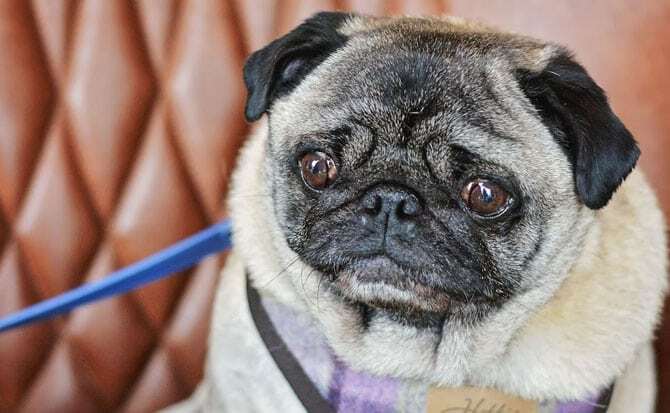 Honey and Bumble were definitely stars of the show, it was so lovely to meet them and their humans… I must admit, I have been the following those beauties for so long that I nearly had a bit of a fangirl moment! We even recreated their famous pallet shot – I’m sure you all follow them over on Instagram. I was in complete doggie heaven the whole time we were on the stand, getting to meet so many wonderful dog owners [and cuddled all of the dogs of course] I loved hearing all about each dogs personality and sharing our own stories. Thank you again to Lisa and her fabulous team for having me along for the day! Roll on DogFest Windsor! If you are at Windsor on the Sunday do come say hello! We would love to meet you. 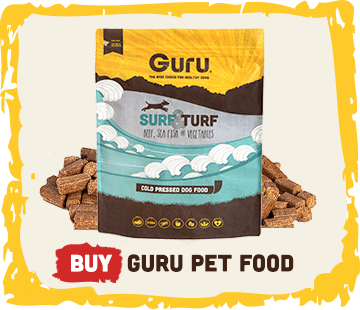 © 2019 Guru Pet Food. All rights reserved.